Copper has continued its march upwards, reaching US$3.26 per pound on Wednesday and eclipsing last month’s high of US$3.14 per pound. Escondida mine. Image courtesy of BHP Billiton. Copper has continued its march upwards, reaching US$3.26 per pound on Wednesday (June 6), eclipsing last month’s high of US$3.14 per pound. Fears over supply appear to be behind the rise in value for the red metal, with concerns emerging about Chile’s Escondida mine and the possibility of another strike following last year’s 44-day disruption, which saw Q1 2017 production down 63 percent. Another round of negotiations on wages began last week, with the main union presenting new contract demands at the BHP Billiton (ASX:BHP,NYSE:BHP,LSE:BHP) facility, which is the world’s top copper mine. According to the Financial Times, the union, which represents 2,500 workers at Escondida, is demanding a signing bonus of US$34,000 per worker — 4 percent of the dividends paid to Escondida shareholders BHP and Rio Tinto (ASX:RIO,NYSE:RIO,LSE:RIO) last year. In a self-fulfilling prophecy, the union is also demanding a 5-percent wage hike due to rising copper prices. Escondida’s output clocks in at 1 million tonnes of copper per year — a number almost double that of the second-place Grasberg mine in Indonesia operated by Freeport-McMoRan (NYSE:FCX). Alone, Escondida supplies 5 percent of the world’s copper, but declining grades and diminishing reserves are causing BHP to seek higher productivity with lower costs, which is fodder for unions. BHP is the majority owner of the mine at 57.5 percent, and has sunk nearly US$8 billion into it in order to maintain output through upgrades and expansion projects. The current contract with the union was extended to the end of July this year in a deal that broke the last strike. If BHP gives too cool a reception to the latest demands, August could begin with tools down. The mining giant has 10 days to respond to the demands. Copper supply has long been an issue, according to experts, with jitters over future sources to remain in the headlines for years to come. 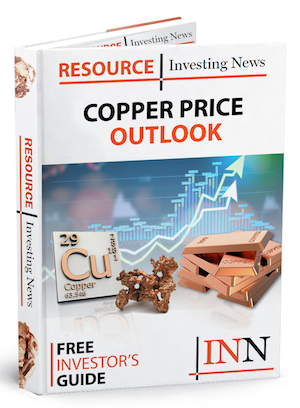 Gianni Kovacevic of Copperbank Resources (CSE:CBK) told the Investing News Network in May that the next big projects in copper, such as Oyu Tolgoi in Mongolia and various works-in-progress in the Democratic Republic of Congo, are unlikely to come online until well into the next decade. “Where is the copper all going to come from?” said Kovacevic. There’s been plenty of disruption on the supply side for the important base metal in May. Copper from the DRC is in the crosshairs of a new tax and royalties code passed by the Kinshasa government that could see the red metal slapped with a 10-percent tax on top of what miners in the African country are calling an onerous and destructive super profits tax. 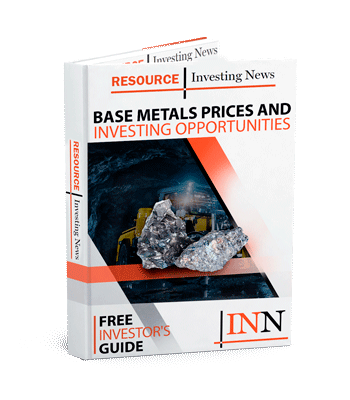 Miners such as Ivanhoe Mines (TSX:IVN), Randgold Resources (LSE:RRS) and Glencore (LSE:GLEN) are united in their opposition to the changes. In Mongolia, copper is seen as the key to prosperity, but the government in Ulaanbaatar seems intent on tightening its control over production, challenging Mongolian Copper over control of the Soviet-Mongolian Erdenet mine, and meddling in the development of Oyu Tolgoi.